The United Lincolnshire Hospitals NHS Trust Staff Awards for 2018 are now open for nominations. This is an opportunity for the people of Lincolnshire to recognise the hard work, dedication and care shown by hospital staff working across the county. Nominations can be made in 11 categories recognising care and compassion, great teamwork, research and innovation and unsung heroes amongst other things. Anyone can make a nomination- staff, patients and public. The Great Patient Experience Award is especially important, as it is open only to patient nominations, and winners are judged by a panel of patients. 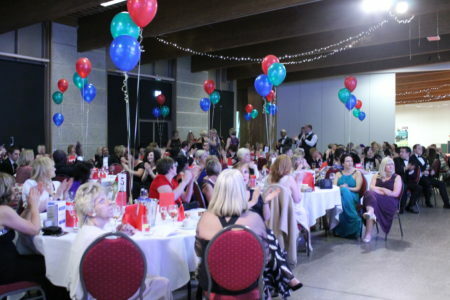 Trust Chief Executive Jan Sobieraj said: “The 2017 awards were an enormous success, with over 690 nominations received, up from 430 the year before. This is a huge number of nominations, which I think reflects just how fantastic our staff really are, and how much our patients appreciate everything that they do. “This year our categories have changed slightly, as some areas receive so many nominations that we wanted to make the most of them. Therefore, we have split some categories into two- one for clinical and one for non-clinical staff- to ensure everyone gets the recognition they deserve. Paper copies will also be available on our hospital sites. Great Patient Experience Award – This award is open for public nominations only, and will be awarded to a team or individual that has made a significant impact upon improving the patient experience either for an individual patient, in their work area or for the Trust as a whole. Team of the Year – Clinical – This award recognises a clinical team who consistently demonstrate good team working, to deliver an efficient and high performing service. Team of the Year- Non-Clinical – This award recognises a non-clinical team who consistently demonstrate good team working, to deliver an efficient and high performing service. Research, Innovation, Education Award – This award will go to the team/individual who have implemented an idea or innovative approach which has resulted in a saving of time or money, improved practice or a new way of working. They may have carried out or published innovative research papers, been involved with clinical trials or taken part in training or education with the end result of benefitting patients. Unsung Heroes – Clinical – This award recognises an individual working in a clinical role who has made an exceptional contribution to the Trust and its services, but whose contribution and role often goes unrecognised. They show dedication and commitment to their role and make a genuine difference to others. Unsung Heroes- Non-Clinical – This award recognises an individual working in a non-clinical role who has made an exceptional contribution to the Trust and its services but whose contribution and role often goes unrecognised. They show dedication and commitment to their role supporting clinical services, and make a genuine difference to others. Extra Mile Award – Clinical – This award will celebrate an individual or team in working in a clinical area, that goes above and beyond to help the Trust deliver its objectives and values. Bringing about change and clear benefits for patients, their colleagues and the Trust as a whole. Extra Mile Award – Non-Clinical – This award will celebrate an individual or team working in a non-clinical area that goes above and beyond to help the Trust deliver its objectives and values. Bringing about change and clear benefits for patients, their colleagues and the Trust as a whole. Outstanding Leader Award – This award recognises someone with outstanding leadership skills who inspires people to go the extra mile. Good leaders are not necessarily managers – they are innovative and value their peers while actively mentoring and encouraging people they work with. Volunteer of the Year Award – This award recognises a volunteer or voluntary team who work tirelessly and generously give their free time, enthusiasm and energy to help improve NHS services, facilities and support for patients, visitors and their families.